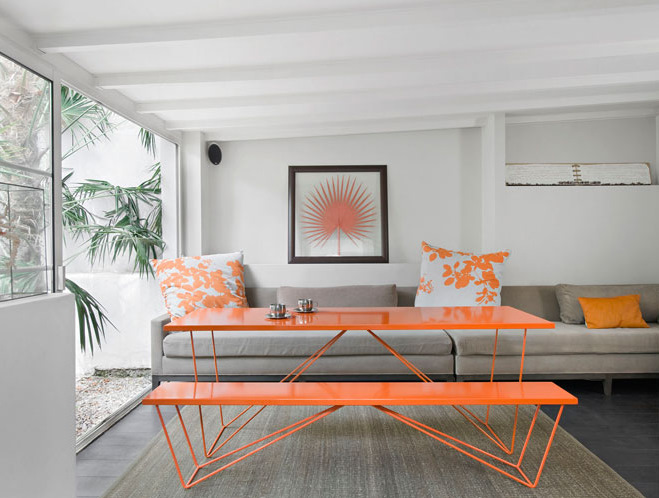 This bright, orange interior makes me almost want to start counting down the twenty days till the arrival of Spring with it's huge amount of light, lacquerd coffeetables, a picknick table inside(!) and a perfect outside terrace for catching the first warm rays of sun. I say this is screaming for Springtime, you too? Definitely gets me excited for spring! (As if I wasn't already, haha). I especially love the last photo -- I can't wait to be able to sit on my deck and in the sun! Woow, refreshing!. 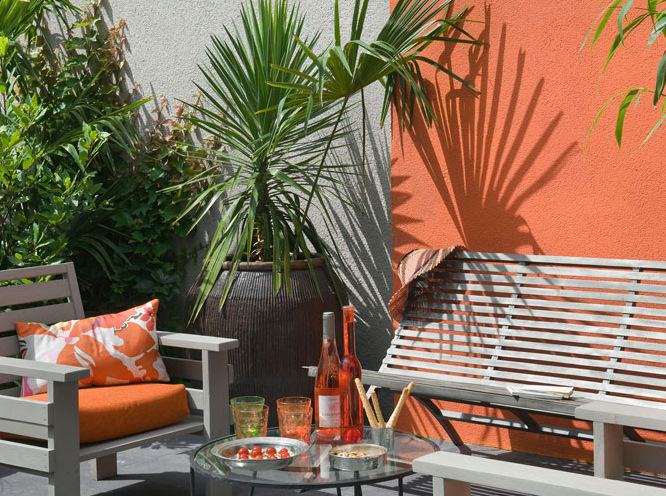 Everyday i am dreaming with the summer... i love this mix of cool neon orange + gray. gorgeous - i love that it's a creamy orange. still bright, but a little softer. sooo ready for warm weather! 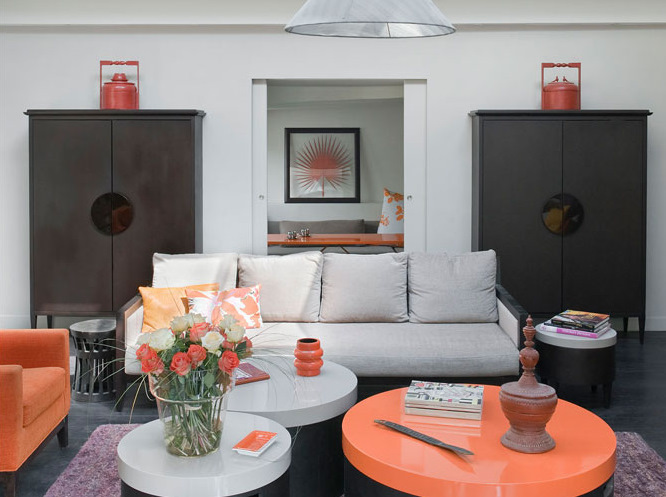 Orange may not be my favorite color, but I love the way it was incorporated into these spaces. ...And now I have a serious craving for a creamsicle! It goes so nicely with the grey of the floors and the rest of the furniture. It instantly lightens up your mood. Gorgeous pictures! I always love an orange accent, its usually unexpected and lovely.